Tom and Eric spent their thirty-sixth night in Palas de Rei. 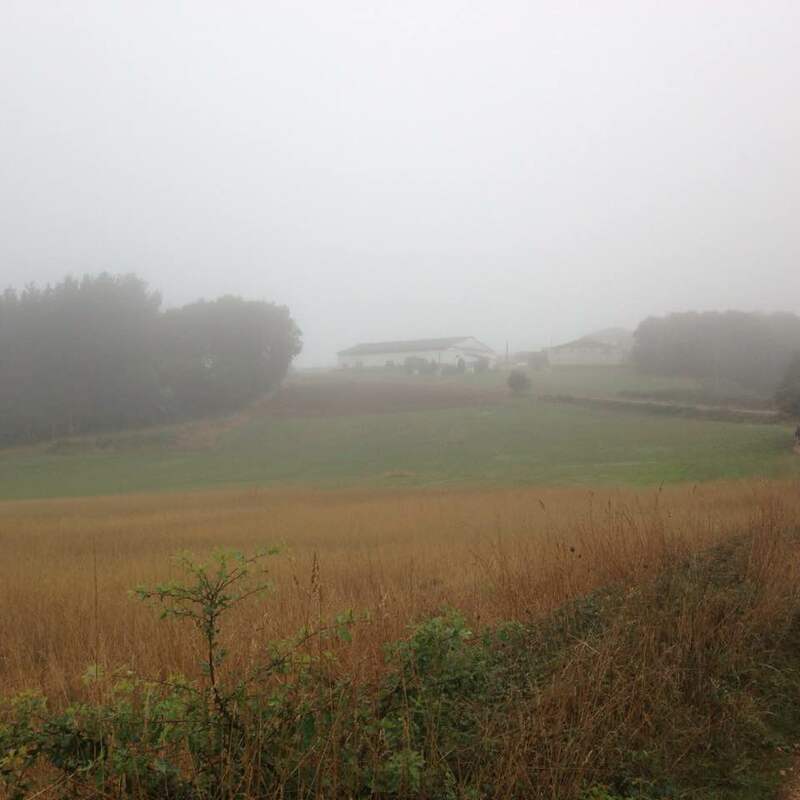 They spent all day walking in the fog and forests appropriate for first day of fall and the anniversary of publication of the Hobbit. 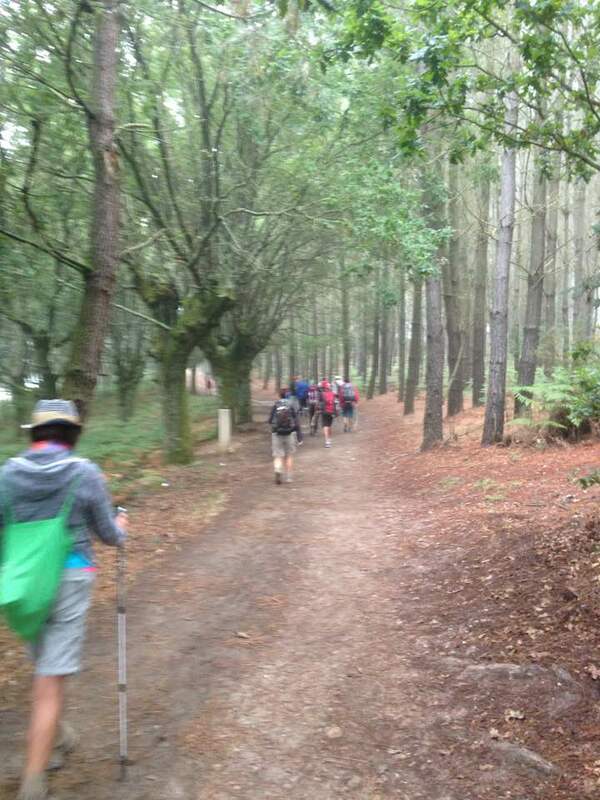 Tom noted that the amount of pilgrim travel has increased ten fold since Sarria. This includes junior high school trips at start of the school year. It is now considered necessary to do the Camino in Spain and put It on your resume. Happy first day of fall from Jack the Bulldog!